Maverick Vinales admits that matching Yamaha MotoGP teammate Valentino Rossi’s pace in the Malaysian Grand Prix was “impossible” for him. 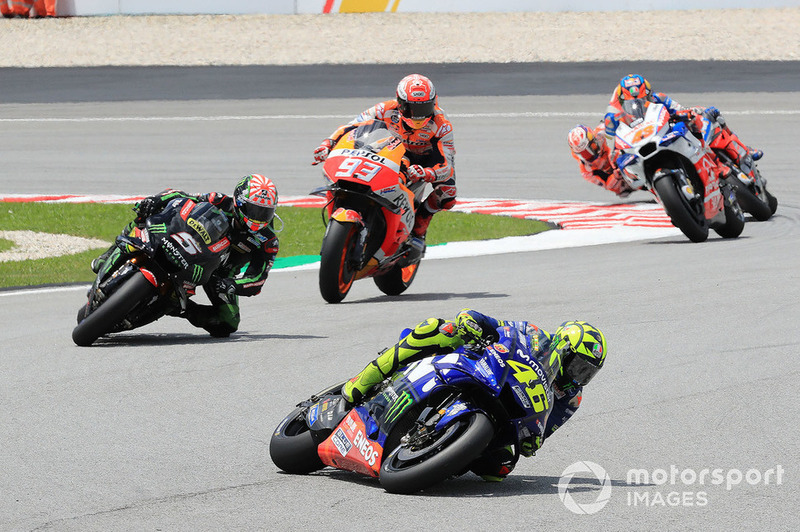 Rossi led the majority of the Sepang race on Sunday, but was being reeled in by Marc Marquez when his hopes ended with a crash at Turn 1 with four laps to run. Vinales, who ended a 25-race winless run for Yamaha by winning last time out at Phillip Island, recovered from a lacklustre qualifying display to finish fourth in Malaysia, losing time stuck behind Alvaro Bautista’s satellite Ducati in the early laps. But the Spaniard admitted that even without qualifying poorly, the pace being set by Rossi and Marquez at the head of the field was not attainable for him. 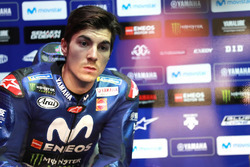 “If I could do 00s low, maybe I could win the race, but today was impossible,” said Vinales. “The track was so slippery, I was even struggling to do 2m00s high. “Four laps to go, I didn’t have grip on the tyres. I destroyed the tyres. But I’m happy we have consistency there. “I think today I could not keep 2m00s-low because it was so hot, and also I got stuck with Bautista and other riders, for me it was so difficult to overtake. “My chance to go on the podium went away, but I’m happy I was pretty close to Alex and Johann at the end. I did my best. Vinales added that seeing Rossi command the race for most of the distance was little surprise, and that the Italian’s performance comes as another important boost for Yamaha. “I always saw Valentino at the same distance [ahead of me], I think we were riding really good,” recalled Vinales. 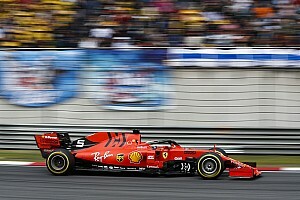 “Honestly I was thinking today he could win the race – he had nearly the same pace than me [in practice], and always in the race he gives a little bit more. 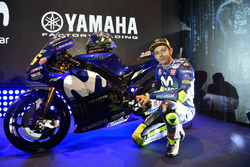 “Before I started the race, I thought Valentino could win, and when I saw him in front, I think, ‘he can go’.